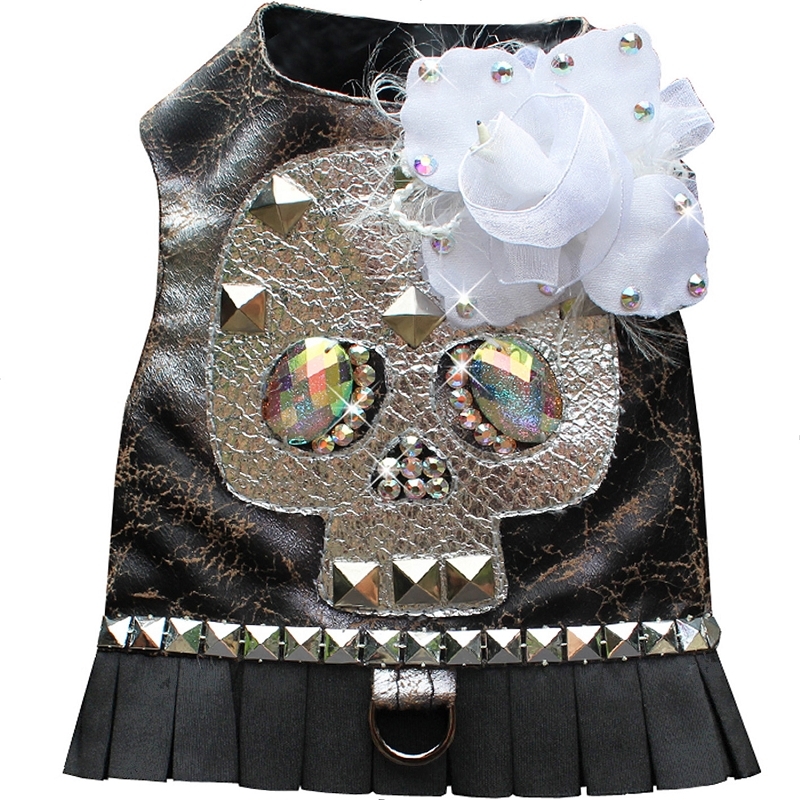 OAK Black and Silver Graffiti Microsuede Vest with Metallic Studded Skull, AB Swarovski crystals and White Rosette This piece is a must have for the Rockstar doggy. This dog harness vest is made with black and silver foil microsuede and is decorated with silver studs. 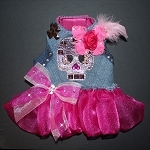 It features a central handmade applique of a skull head that is embroidered onto the harness. It is accented with studs and Swarovski crystals for added Bling. A red chiffon rose with Swarovski crystals add the finishing touch to this rocker glam harness. Pleated trim aligns the hemline for a fancy touch to this edgy vest. D-ring for easy leash attachment. Adjustable velcro around neck and belly. This rocker harness is for your little or big pup who is his or her own attitude but also loves to dress up in the best clothing!